Start off your visit on the 15th (Thu): stroll through City Beach. To find maps, other places to visit, more things to do, and tourist information, use the Perth online trip itinerary maker . Munich, Germany to Perth is an approximately 22.5-hour flight. The time zone difference moving from Central European Time to Australian Western Standard Time is 7 hours. Plan for much warmer temperatures traveling from Munich in November, with highs in Perth at 33°C and lows at 15°C. Cap off your sightseeing on the 16th (Fri) early enough to go by car to Bunbury. Start off your visit on the 17th (Sat): explore the activities along Koombana Bay, then visit a coastal fixture at Bunbury Lighthouse Lookout, then kick back and relax at Back Beach, and finally tour the pleasant surroundings at Wyalup-Rocky Point. For where to stay, more things to do, other places to visit, and other tourist information, read our Bunbury road trip tool . Getting from Perth to Bunbury by car takes about 2 hours. Other options: take a train; or take a bus. Finish your sightseeing early on the 17th (Sat) to allow enough time to drive to Margaret River. 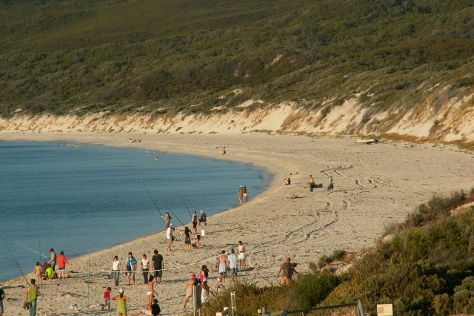 On the 18th (Sun), enjoy the sand and surf at Hamelin Bay, then look for all kinds of wild species at Sunflowers Animal Farm, and then take a memorable drive along Caves Road. To see other places to visit, more things to do, traveler tips, and other tourist information, you can read our Margaret River trip planner . Traveling by car from Bunbury to Margaret River takes 1.5 hours. Alternatively, you can take a bus. Cap off your sightseeing on the 18th (Sun) early enough to go by car to Pemberton. On the 19th (Mon), ride a horse along Cowboy Up Trail Rides, take in panoramic vistas at Gloucester Tree, and then admire the engineering at Big Brook Dam. For reviews, other places to visit, more things to do, and tourist information, go to the Pemberton trip planning tool . You can drive from Margaret River to Pemberton in 2 hours. Alternatively, you can take a bus. Finish your sightseeing early on the 19th (Mon) to allow enough time to drive to Denmark. 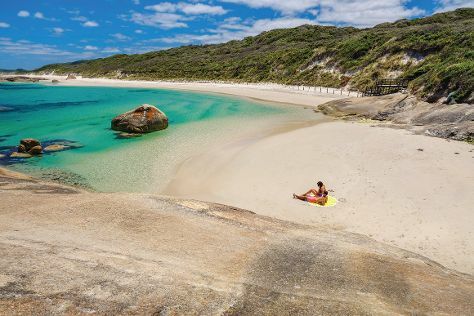 Kick off your visit on the 20th (Tue): kick back and relax at Anvil Beach, then explore the striking landscape at Elephant Rocks, and then tour the pleasant surroundings at Greens Pool. You can plan Denmark trip in no time by asking Inspirock to help create your itinerary. Traveling by car from Pemberton to Denmark takes 2.5 hours. Alternatively, you can take a bus. In November, plan for daily highs up to 25°C, and evening lows to 12°C. Cap off your sightseeing on the 20th (Tue) early enough to go by car to Albany. Kick off your visit on the 21st (Wed): steep yourself in history at The Albany Convict Gaol & Museum, then kick back and relax at Emu Point, and then kick back and relax at Middleton Beach. Planning Albany trip won't be overwheling when you use's Insprock itinerary maker. You can drive from Denmark to Albany in an hour. Another option is to take a bus. In November, daytime highs in Albany are 25°C, while nighttime lows are 12°C. Finish your sightseeing early on the 21st (Wed) so you can travel to Bremer Bay. Bremer Bay is a coastal town situated on the south coast of Western Australia in the Great Southern region between Albany and Esperance, at the mouth of the Bremer River. Start off your visit on the 22nd (Thu): explore the striking landscape of Fitzgerald River National Park. To find other places to visit, maps, more things to do, and more tourist information, refer to the Bremer Bay online trip planner . You can drive from Albany to Bremer Bay in 2.5 hours. Finish your sightseeing early on the 22nd (Thu) so you can travel to Esperance. Esperance is a town in the Goldfields-Esperance region of Western Australia, on the Southern Ocean coastline approximately 720km east-southeast of the state capital, Perth. 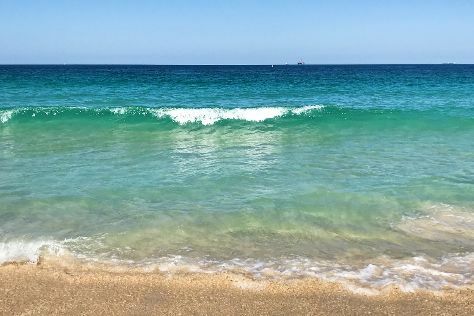 Kick off your visit on the 23rd (Fri): enjoy the sand and surf at Ten Mile Lagoon, then enjoy the sand and surf at Salmon Beach, and then enjoy the sand and surf at Blue Haven Beach. To find where to stay, ratings, maps, and more tourist information, read Esperance trip itinerary planning site . Traveling by car from Bremer Bay to Esperance takes 4.5 hours. In November, daily temperatures in Esperance can reach 28°C, while at night they dip to 13°C. Cap off your sightseeing on the 23rd (Fri) early enough to travel back home.